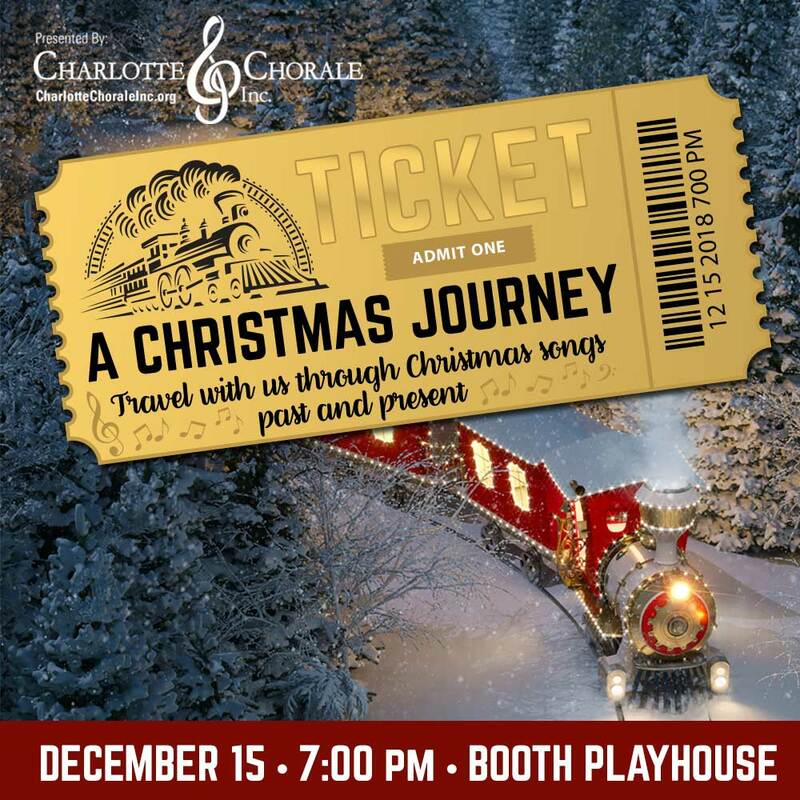 The Charlotte Chorale Inc., under the direction of Mitchell Lewis, will present its 15th anniversary Christmas concert “A Christmas Journey” on Saturday, December 15 at 7:00 PM at Booth Playhouse. Travel with us as we celebrate Christmas through carols past and present. The journey begins on the trip to Bethlehem with songs that include “Festival Gloria”, “The First Noel,” and “Hark The Herald Angels Sing”. After a brief intermission guests will be transported on the “Polar Express” through song to the North Pole where the place will be rockin’ with “North Pole Rock N’ Roll”, “Run Rudolph Run” and “Sparklejollytwinklejingley” from the Broadway musical Elf. There’s no place like home, so we journey back home for heartwarming family favorites such as “Coming Home for Christmas”, “Underneath the Tree” by American Idol winner Kelly Clarkson and “Home for the Holidays”. The concert is 90 minutes long including a 15-minute intermission and the choir will be accompanied by a musical combo. With a mission focused on cultural enrichment and accessibility to live choral music within the Charlotte community, The Charlotte Chorale Inc., also prides itself on giving back to those in need. To help us fulfill this mission, each audience member is asked to bring a pack of new unworn socks, which will be donated to those in need in our community. In addition, we will be promoting our “Buy A Biscuit” program at the concert. Each December the Charlotte Chorale donates thousands of sausage biscuits to the USO of NC to feed the soldiers of Ft. Jackson as they travel through the Charlotte Douglas International Airport.